Select CENTERPOINT (Bose® sound system) to turn automatic surround-sound level adjust on or off. 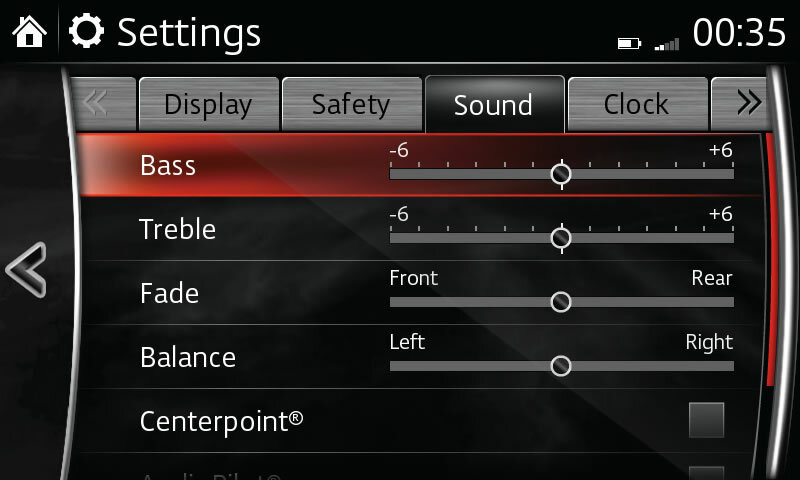 Select AUTO LEVEL CONTROL for automatic volume adjustment at 7 levels; slide to OFF to turn off. Select CENTERPOINT to turn automatic surround-sound level adjust on or off. AudioPilot® and Centerpoint® are registered trademarks of Bose Corporation.